Note: While review will be spoiler free, it does make reference to previous books in the series. 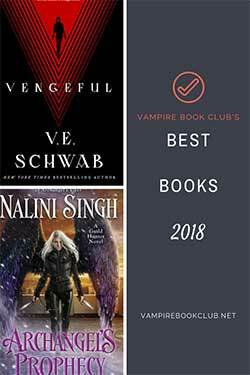 If you haven’t started yet, check out VBC’s review of Some Girls Bite. Ethan and Merit are off on their first vacation together to a scenic Colorado mountain retreat. Just as they’re settling in for some peace and quiet, a vampire arrives at their door covered in blood. Ethan’s friend Nessa, who owns the guesthouse they’re staying in, has just come home to find her husband murdered. He was a shifter whose family is now accusing her of the crime. It turns out, Ethan and Merit are vacationing among the supernatural Hatfields and McCoys. The vampires in the area belong to a Clan, which is smaller and less organized than a House, and live in a sort of commune. I liked seeing how some other vampires live outside the House system. And I loved seeing the political wheels start turning in Ethan’s head as he gathered information about them. I also liked seeing Merit in a different environment. She’s such a city girl; I really can’t picture her hiking. But she practically became a poet describing the scenic setting. I often felt like I was right there with her gazing at the stars. 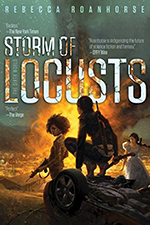 Though it didn’t blow me away, I thought the mystery was much better than in the last CV novella. I had a suspect, but didn’t really figure anything out before Merit did. The history of the feuding families was interesting. And their current attitudes made me wonder about the state of supernatural relations outside of Chicago and whether that will become important to Ethan in his new position. Lucky Break takes place between Blood Games and Dark Debt. There’s no information that you would need before starting Dark Debt, but it does have some spoilers for previous books in the series. 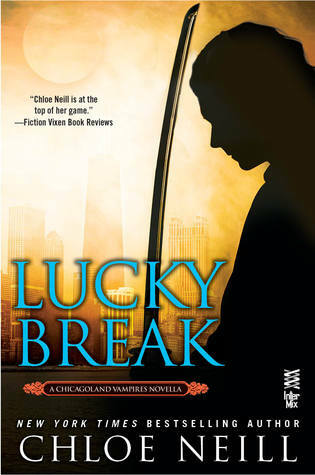 If you need something to tide you over until the March 3 release, Lucky Break is definitely worth a read. I enjoyed Lucky Break. I thought Neill did a great job of making the story feel complete even though it’s relatively short.